Also think about convenience to your house, especially at night or in the winter, when a long trip from the hot tub to the house becomes even longer when you're dripping wet and it's freezing outside. If you live in a desert region, a spa that faces north or east (or northeast) might be preferable, since it will bring relief from the sun, even during the cooler winter months. 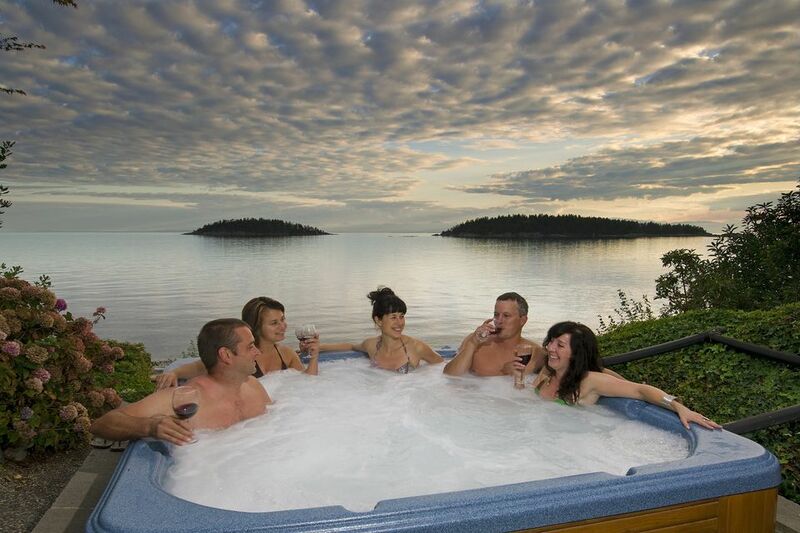 Those who reside in northern regions that experience fairly cool summers should consider situating a hot tub to receive a southern exposure, to receive as much sun as possible. This will cut down on the cost of heating the spa. Another important consideration is wind: too much can make sitting on the edges of the hot tub almost unbearable; too little can leave everyone unexpectedly overheated and make the area stagnant. If possible, it's best to find a happy medium. A cover and fence can also help lessen the intensity of an otherwise-windy location. What you do in your spa is your business, but nobody wants it situated in a spot that can be in full or even partial view of neighbors. Think about it: if you're surrounded by two-story houses, your neighbors can look down and witness the action. Keep this in mind when looking for the right spot in your yard. If privacy is important, think about building an enclosure or putting it in a gazebo-like structure with curtains that can be closed or open. Strategic landscaping can also make the hot tub more private without having to house it in a separate structure. Vines, shrubs and small trees can all be placed surrounding the spa to offer privacy from any angle. Make sure the spa has a properly installed cover to avoid any mishaps or tragedies if unsupervised children are in its vicinity. If you have children or grandchildren, position the hot tub where it can be viewed from indoors and outdoors. Install handrails for safe entry and exit of the spa.